Rabbit Ears Pass, Steamboat Springs Colorado . The pass was called so by the earliest trappers because of its appearance to rabbit ears. The pass climbs to 10,000 feet and is also one of the snowiest roads in Colorado. 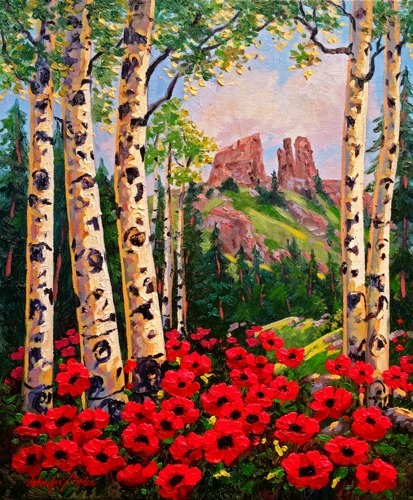 The historic marker for the Yampa Valley is romanticized in this painting.